Pick up a physical version of Warhammer: Vermintide 2 when it gets a physical release this summer. 505 Games and Fatshark are bringing Warhammer: Vermintide 2 to consoles with physical versions of the game this June. Warhammer: Vermintide 2 will be available with physical copies on PlayStation 4 and Xbox One with a special Deluxe Edition that includes both previously related DLC content, "Shadows Over Bogenhafen" and "Back to Ubersreik" as well as more premium content in the form of tailored missions (Heroic Deeds), character skins, a portrait frame, and the Sigmar Keep Statue. If you've never played Warhammer: Vermintide 2, here's the situation: It's a four-player co-op first-person action game that takes place in the Warhammer universe (obviously). It's the sequel to Warhammer: End Times – Vermintide, and follows five heroes who return to the universe to face a bigger threat than they ever have before. You'll engage in brutal combat with a new enemy faction, 15 new career paths, various talent trees to fill out, new weapons, and an improved loot system, and more. 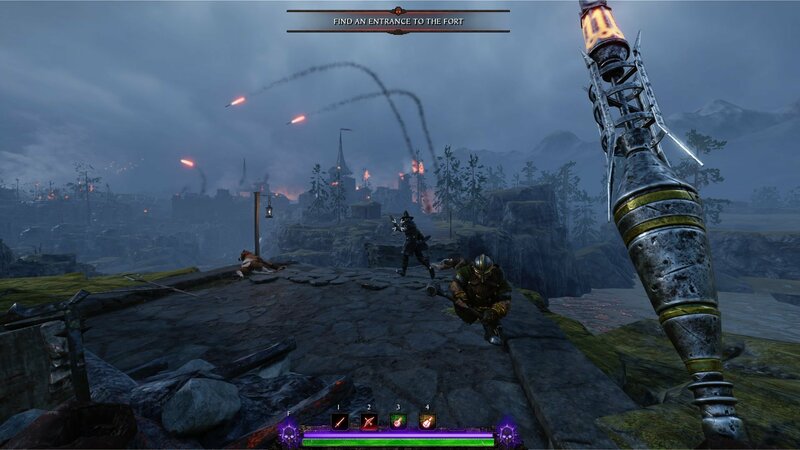 "Even with a few minor and infrequent hiccups, Warhammer: Vermintide 2 serves as an excellent platform for players keen on first-person cooperative action. The number of missions and environments, to say nothing of the different characters and classes, should provide enough content and customization to keep fans happy for the foreseeable future. As for cutting through the rising and falling ranks of the vicious Vermintide; well, it just feels good." If you're looking forward to adding this physical edition to your "must-buy" list, make sure to pencil in June 11 on your calendar, when the game will become available in a cold, hard physical form. And you can take the madness of the Warhammer universe home with you to enjoy over and over whenever you like. Let us know if you've played the game and if you're a fan, too – it looks like some seriously brutal, bone-crushing fun, and that's kind of up our alley.